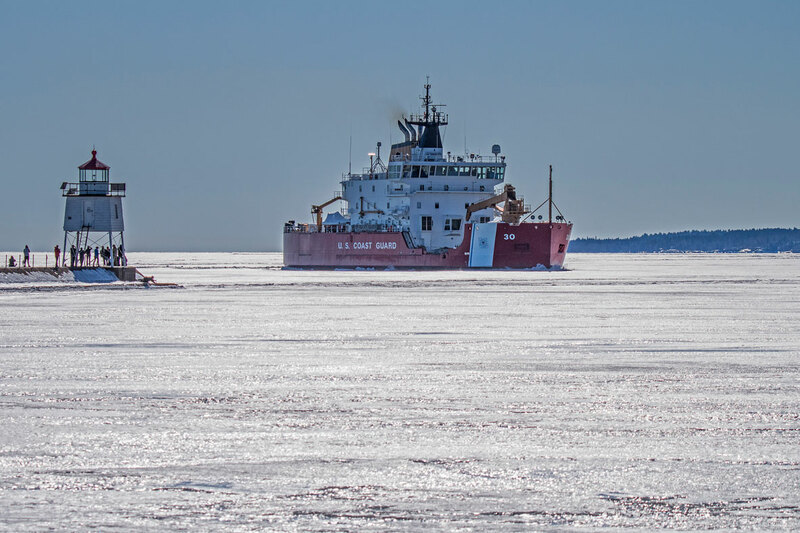 The Tug North Carolina was working to free the Lee A. Tregurtha. 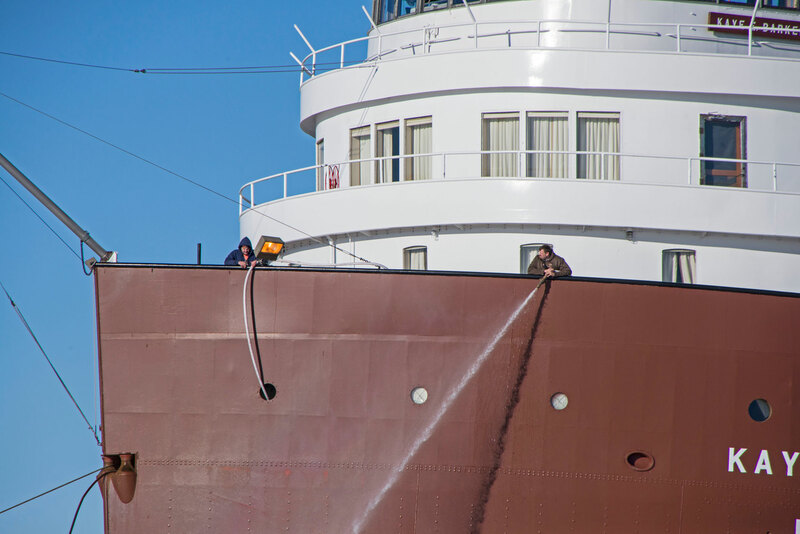 The William A. Irvin was moved to Frasier from its dock in Duluth last fall for a much needed refurbishing. 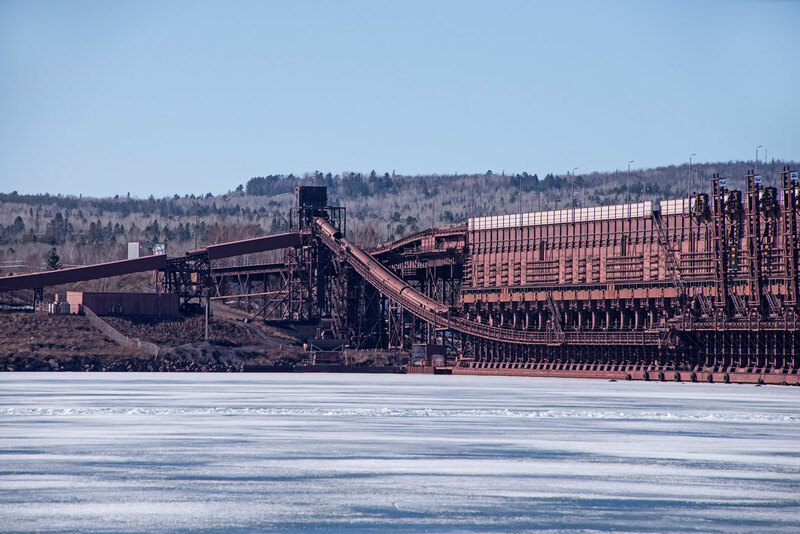 It is a major tourist attraction in Duluth. 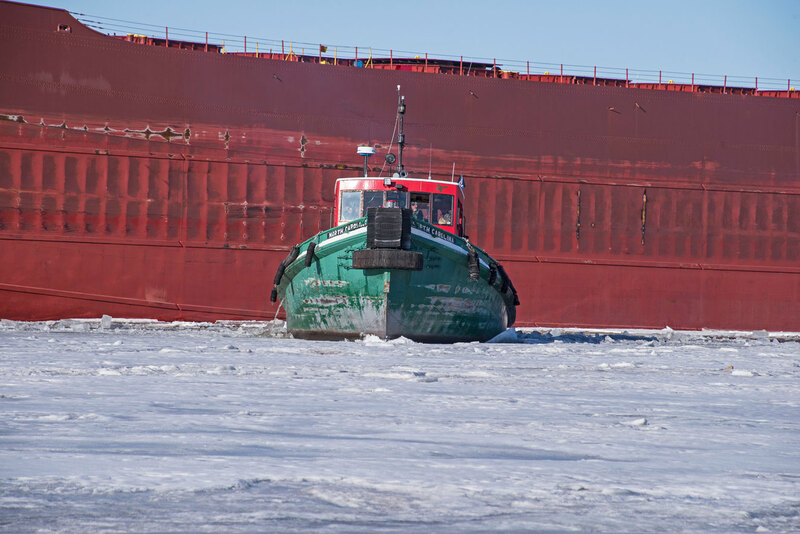 One last shot of the ships as the tug was finishing its work. 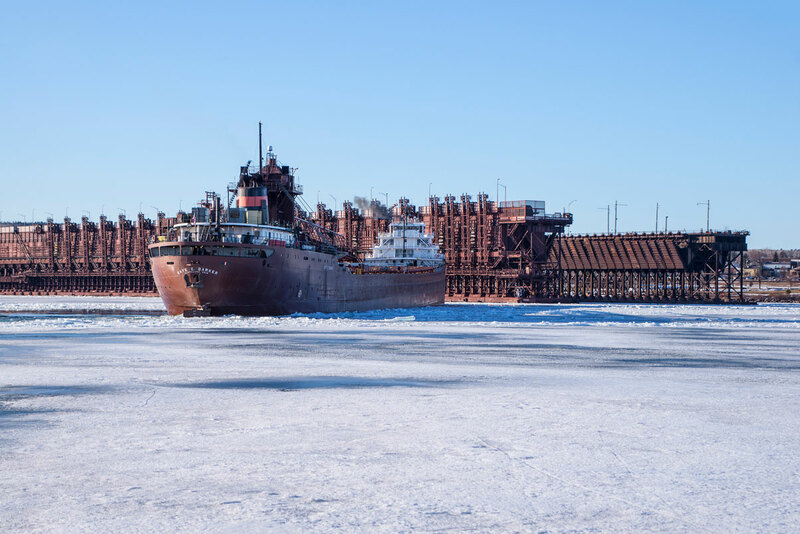 When the Lake Superior shipping season ended the third week of January some of the ships that ply the great lakes head for Duluth/Superior for winter layup. 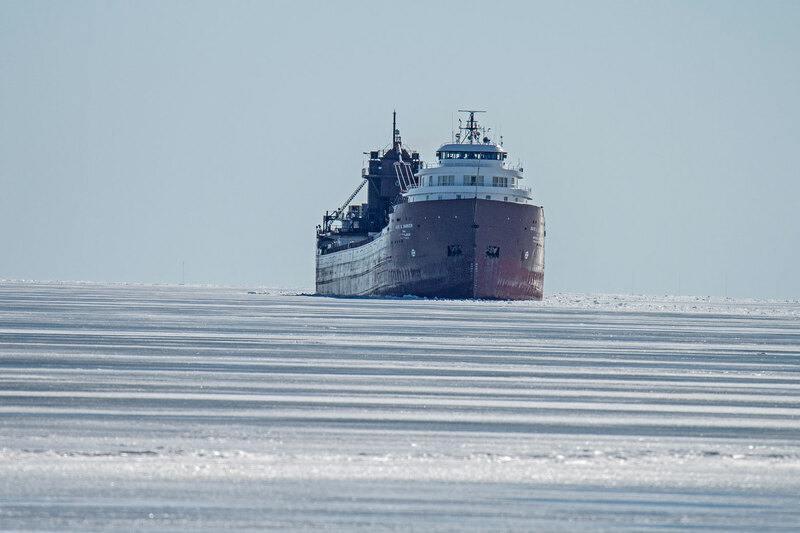 This season a smaller number of ships than normal are in winter layup. 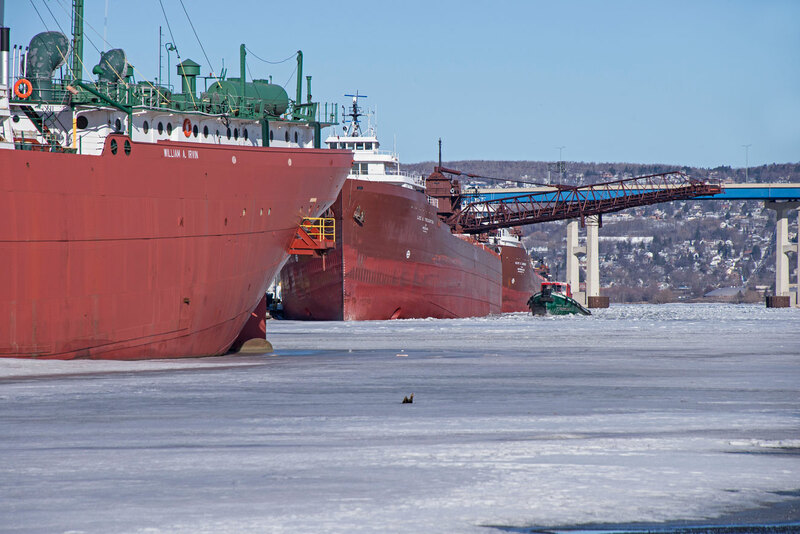 Five ships in all can be seen this winter. 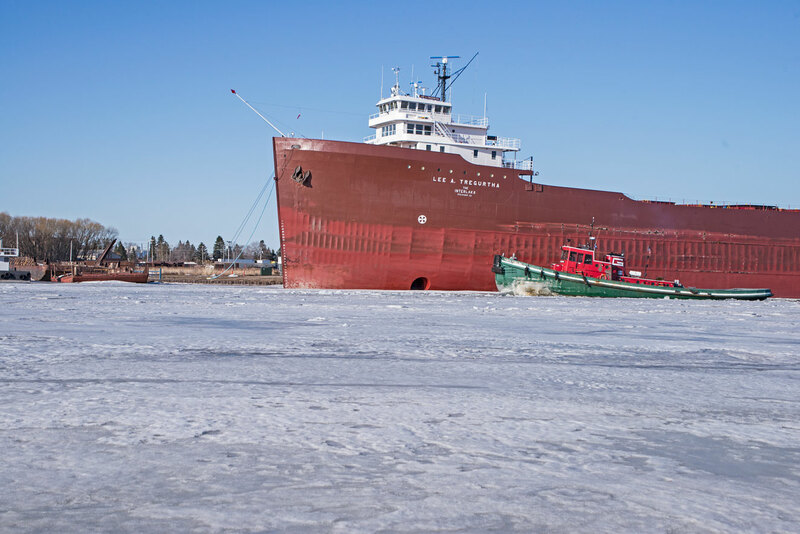 A sixth ship, the Edwin H. Gott , was scheduled to layup but it could not make it through the Soo Locks before they closed. 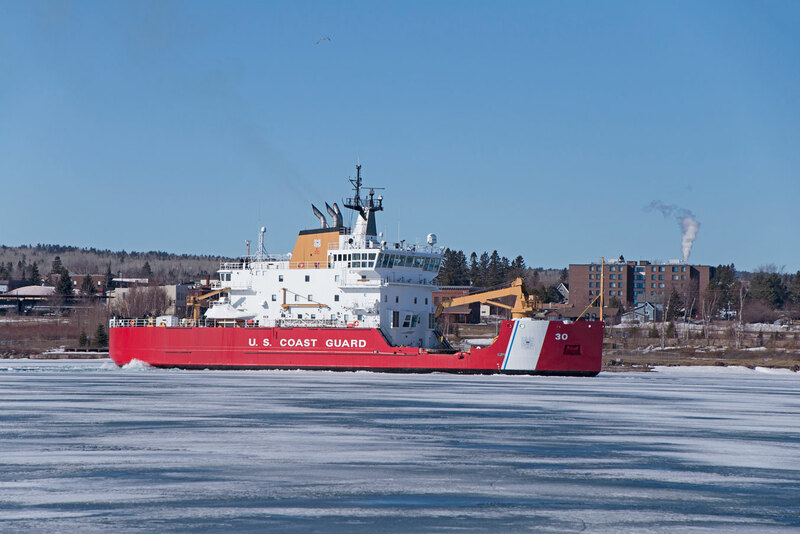 The John G. Munson was the last ship to come into port on January 20th and is in Fraser Shipyard for winter layup. 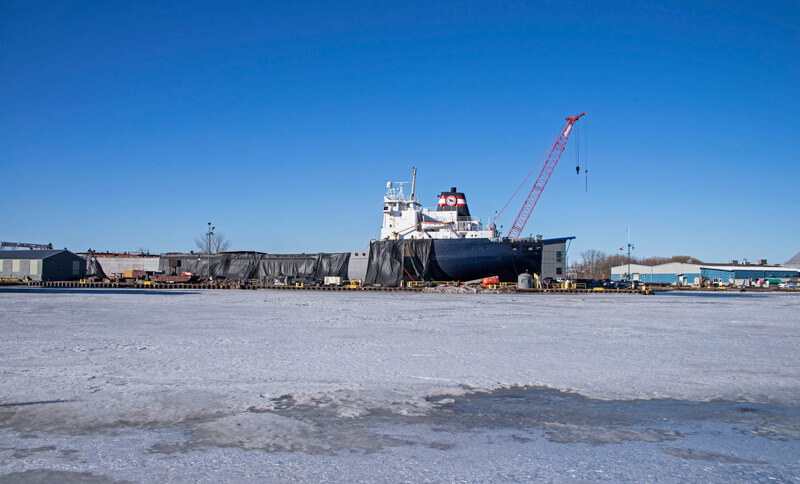 The Kaye E. Barker is in dry dock also at the Fraser Shipyard. 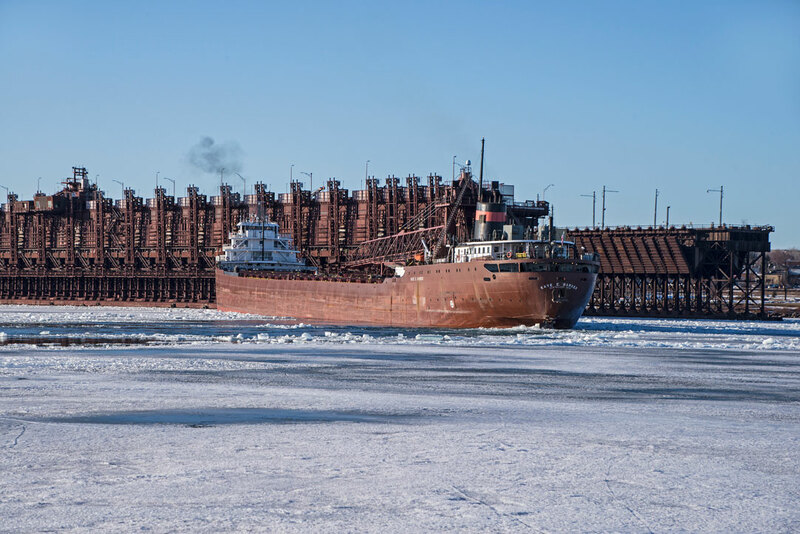 The Mesabi Miner came in on Monday morning, January 19, 2015 and can be found at the Midwest Energy Resources dock. 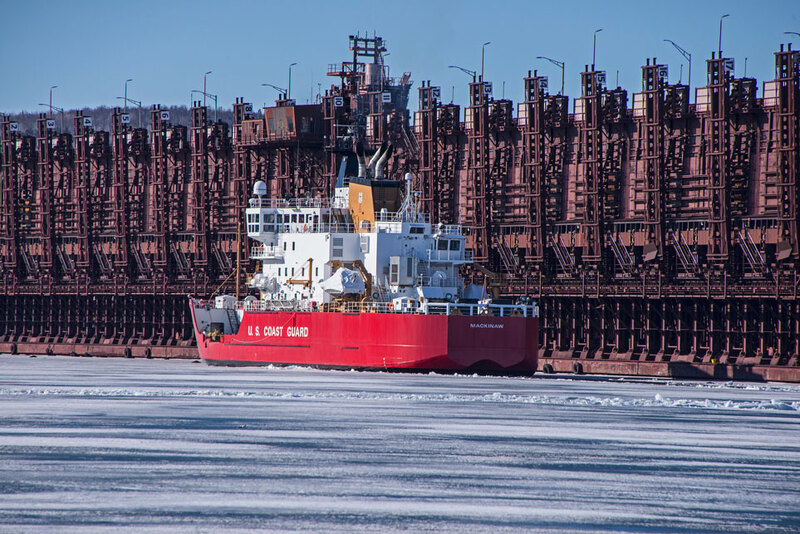 The American Integrity was the first of 6 vessels scheduled to arrive in Duluth/Superior for winter layup. 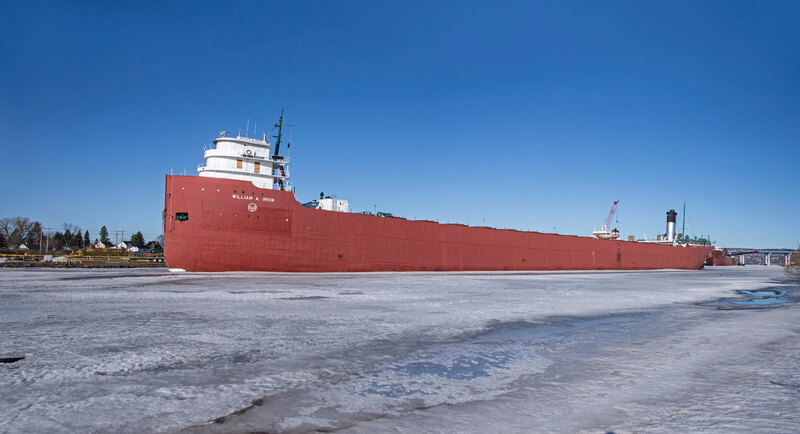 She arrived on January 7and can be found at the Carrier Port Terminal Berth 1. 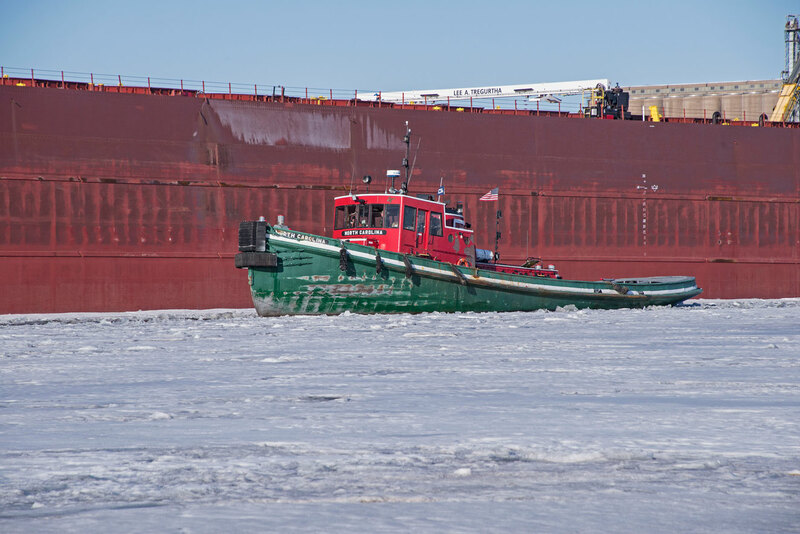 The Indiana Harbor arrived January 17th entering the Superior entrance and is at the Enbridge Ogdensburg Pier. 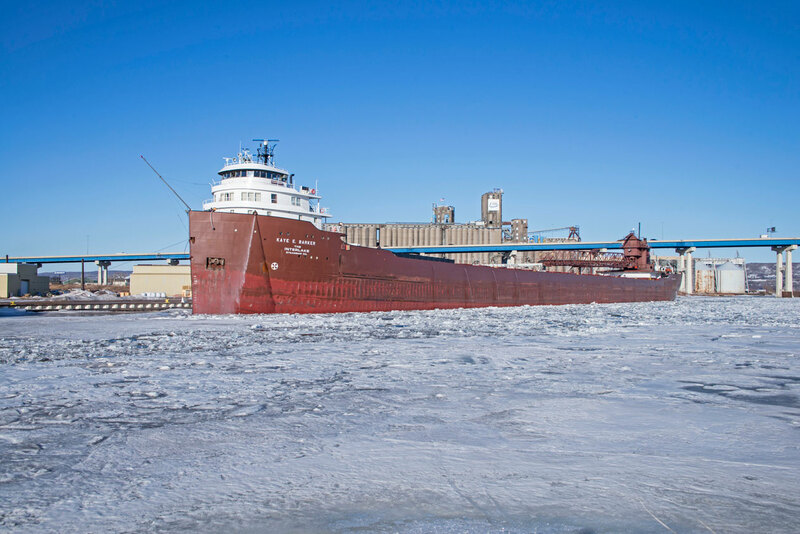 We happened to be at Wisconsin Point when the Indiana Harbor arrived. 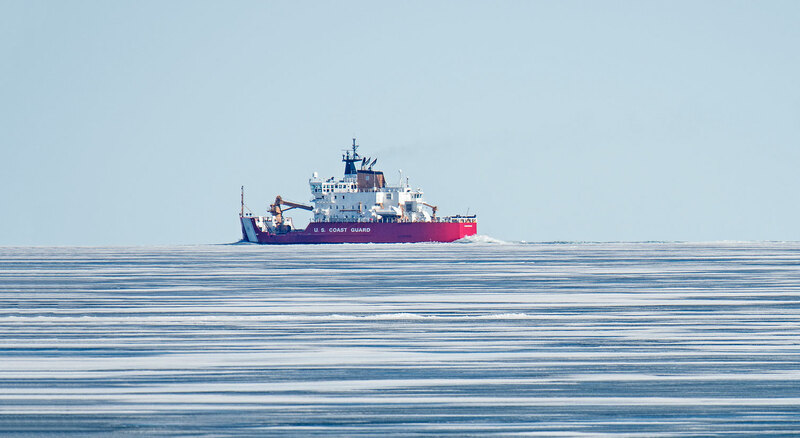 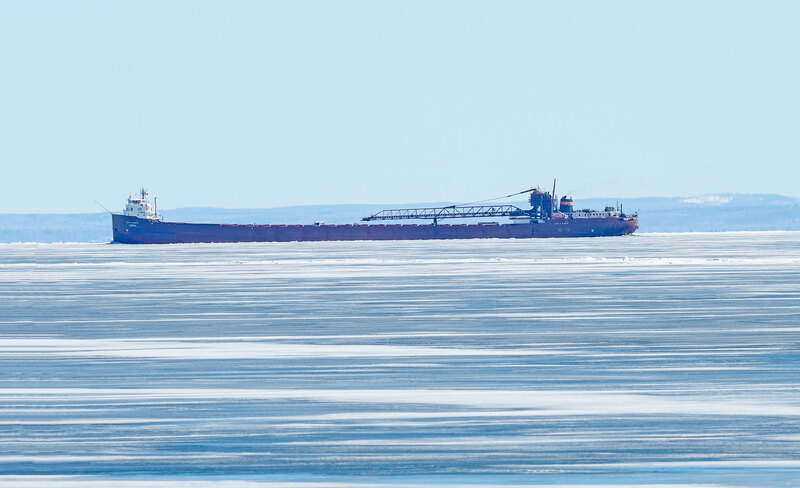 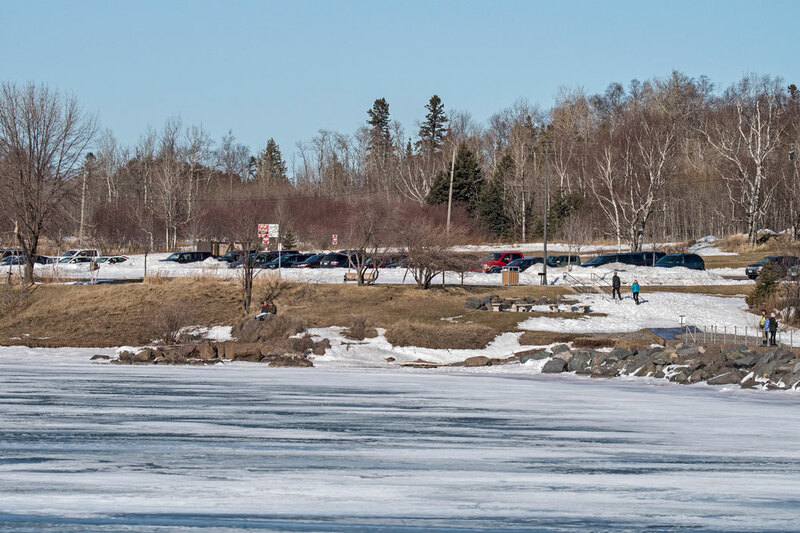 Lake Superior shipping should resume in about a month.